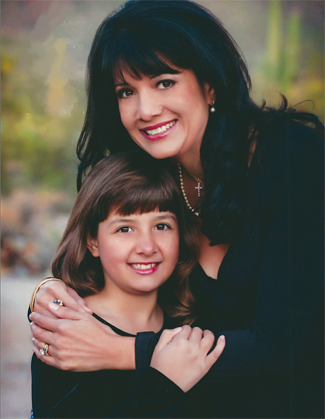 Roxanna Green never imagined a life in the public eye but when her 9-year-old daughter, Christina-Taylor, was killed on that fateful day in Tucson, Arizona, two years ago, she became a voice for gun control. This mother was thrust into the spotlight after the horrific shootings that left six people dead and 13 wounded including Representative Gabby Giffords. ON TWE RADIO MAR. 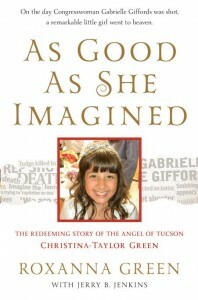 30, 31–In As Good As She Imagined–The Redeeming Story of the Angel of Tucson Christina-Taylor Green (Worthy Publishing), Roxanna Green writes lovingly about her daughter, the youngest victim at the shooting of Congresswoman Gabrielle Giffords and 18 others in 2011. Roxanna described her quest for peace in the midst of the family’s unspeakable heartache. Her daughter was nine, a talented and popular student, when tragedy struck in front of the Safeway in northwest Tucson. The book is a tribute to this “Angel of Tucson,” as people would call Christina-Taylor, and the story of her inspiring legacy.